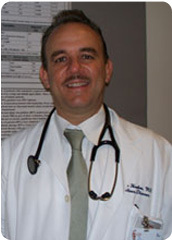 Dr. Hasbun has a clear research interest in central nervous system infections. During his fellowship he obtained a NRSA award from the NINDS to evaluate the role of cranial imaging in adults with suspected meningitis. This study was published in the New England Journal of Medicine and was used by the Infectious Diseases Society of America in the Bacterial Meningitis clinical guidelines to rationalize the use of Head CT scan in patients with suspected meningitis. As a member of the NIH Collaborative Antiviral Study group, Dr. Hasbun has also participated in two West Nile meningoencephalitis protocols (Natural History and IVIG treatment trial) and in the Herpes encephalitis valacyclovir trial. As part of the trials, Dr. Hasbun has undergone formal training at the NIH annual meetings to assess neurocognitive and neurological outcomes of patients with West Nile and Herpes encephalitis. As a member of the NIH Bacterial and Mycoses study group, Dr. Hasbun has also participated in the Cryptococcal meningitis trial assessing adjunctive use of Recombinant Interferon. Finally, Dr. Hasbun is currently in his last year of a K 23 training grant that has prospectively enrolled 298 adults and children with aseptic meningoencephalitis. Dr. Hasbun has recently attended the Welcome Trust Advance Course “Virus Discovery in the Clinical Setting” in Hinxton, Cambridge and is now collaborating with Ian Lipkin,MD to add pathogen discovery tools to advance the research field of the aseptic meningoencephalitis syndromes. Dr. Hasbun has succesfully expanded his study to multiple centers nationwide and is currently expanding his study to Costa Rica.